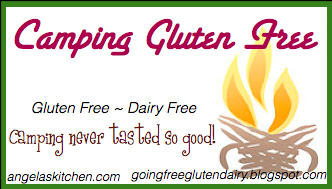 Are you ready for the next installment of the Camping Gluten Free series that Becca of Going Free and I are hosting? About every couple of weeks we will take turns showing some fun things we like to cook up for our families while camping. 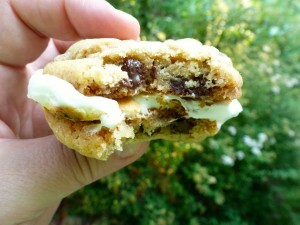 Today it is my turn with Fire Grilled Pizza and how we do shortcuts for s’mores. I also am going to show you how we make s’more kits for camp or other camping activities you or your kiddos are going to. 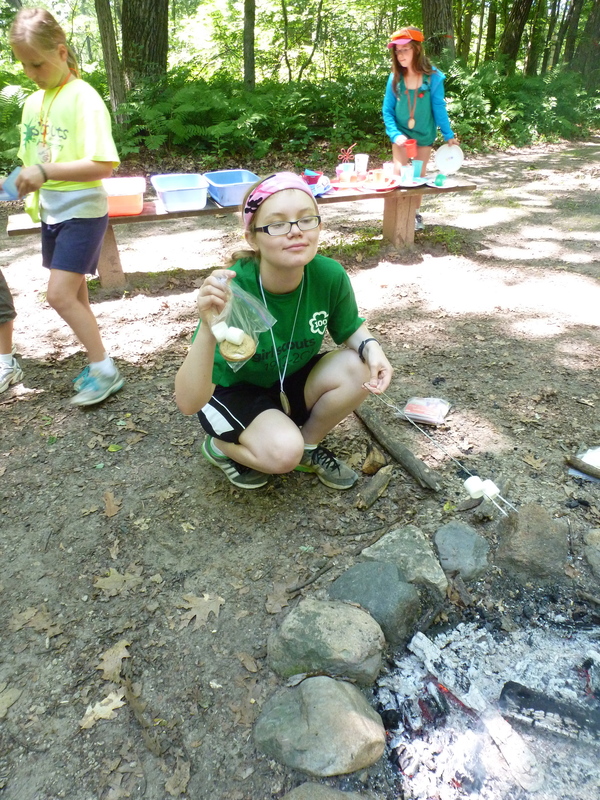 I have one version of mini campfire pizzas (the Girl Scout camp version) on the blog, but there is another way to have pizza while camping and it works great on your grill at home, too! 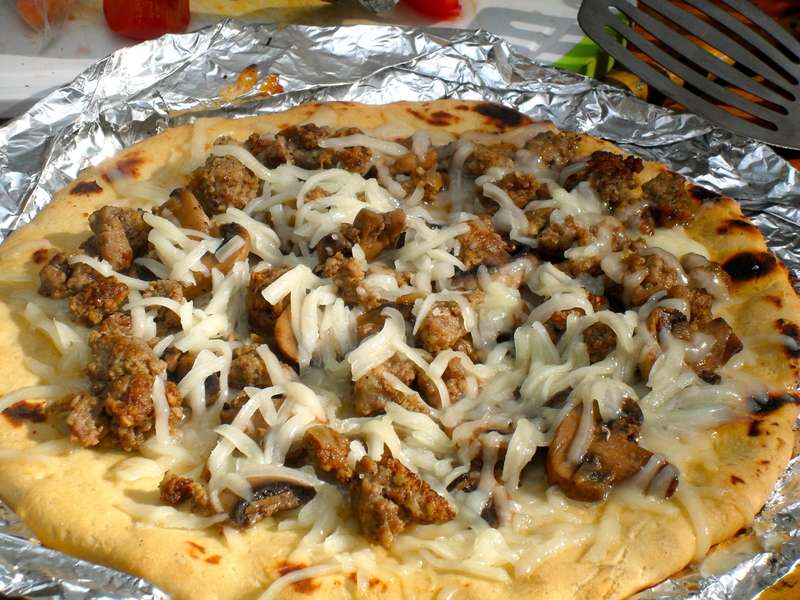 Use your favorite pizza toppings and try it at your next campout or backyard barbecue. 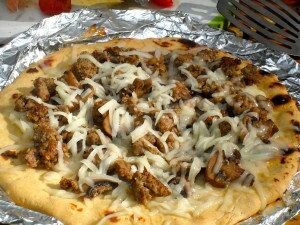 I use our family’s favorite gluten free pizza crust and partially bake them for this recipe. Just bake the crust (without toppings) just until cooked through, but not golden. Allow crusts to cool completely before packaging in air-tight packaging. I like to make several crusts ahead of time and keep them in my freezer during peek camping season. Having the crusts on hand in the freezer means you can just pop one in the cooler with your family’s favorite pizza toppings with minimal prep before heading to the woods. Gotta love that! Using a double layer of foil, crimp the edges to make a stiff lip on the foil. This makes the foil easier to move and keeps the pizza from sliding off. Place your crust top side down on the foil and place on a grill grate over a medium to cooler part of the fire. Grill until heated and golden turning crust/foil as necessary to even cook. Flip pizza crust over so the heated top is up. Place toppings on pizza. In above pizza we have our cheese replacement on top of our other toppings, however, it works better to place the cheese substitute on the crust first so then the other toppings. This allows the cheese sub to melt more thoroughly. Grill pizza until bottom heated and golden. Remove from heat, cut and enjoy! Gluten Free Dairy Free s’more kits in action! 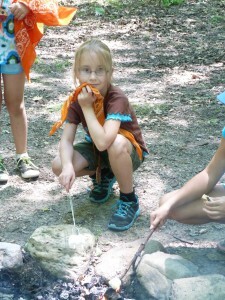 I hope you enjoyed these ideas and can use them for your next campout. 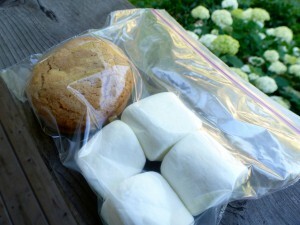 We will be back with more gluten free camping ideas. If you just can’t wait, I have other camping food ideas here.